We are pleased to inform you that the Veetsan Star mobile app is now available on Apple iTunes and Google Play stores. 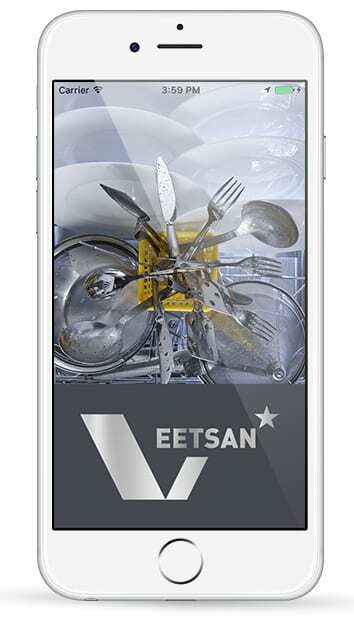 The new Veetsan Star app provides detailed information on Veetsan Star professional dishwashing equipment sold in the United States and Canada. The new Veetsan Star mobile app provides valuable assistance in selecting the right solution for your dishwashing needs. In addition to the technical details, spec sheets and brochures for each product, the new Veetsan Star mobile app can be used to ask for direct support and to place orders with local Veetsan Star representation.